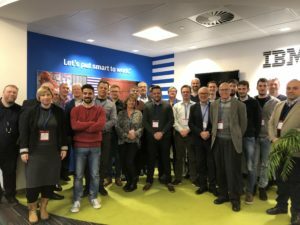 On January 30 and 31, 2019, I partecipated to the H2020 ICONET project meeting at IBM in Dublin. We have advanced on the Living Labs that will constitute the building blocks of the Physical Internet. Physical Internet (PI) is the next step for logistics, where flow of parcels, bulks and containers will be traced and optimized as it is nowadays done in the well known digital Internet. PI will be massively beneficial for shippers, logistic service providers but also for reduction of CO2 emissions and global warming.